As a general rule, non-US retirement plans are tricky for US citizens. And you won’t find a trickier example than an Australian superannuation. If you participate in one already, in this article I’ll give you a few friendly suggestions regarding this unfriendly subject. But first, the two big reasons that superannuations are so tricky in the first place. As I’ve written before, double tax agreements (DTAs) are like rulebooks mutually agreed upon by two countries. Some of these rulebooks protect the “retirement man play,” or protect the tax treatment of a retirement plan in one country in the other country. In the UK-US DTA, for example, the US agrees to respect the UK tax treatment of UK retirement plans. The problem is that the Australia-US DTA doesn’t have anything like that. There’s no “superannuation protection rule,” so the IRS can tax superannuation contributions, gains, and distributions — even if the Australian Taxation Office doesn’t. But, you may ask, isn’t the purpose of the superannuation to put some money aside to grow without being taxed? And taxing it would obviously defeat that purpose? The answer is yes, and that’s the first big reason Australian superannuations are problematic for US citizens. The next reason regards how the IRS goes about taxing the superannuation. The IRS hasn’t given any formal guidance regarding superannuations, so you (with the help of professional tax advisors) need to figure out yourself which US tax rules to apply to the superannuation. That’s right — you’ll need to apply US tax rules to the Australian superannuation. From the perspective of the IRS, the superannuation is just a trust. The Australian tax treatment of the superannuation doesn’t matter at all. If a “superannuation protection rule” were in force, it would be a different story. You need to determine whether, from the perspective of US tax law, the superannuation is a grantor trust (that is, a trust to which you have made more than 50% of the contributions) or an employee benefit trust (that is, one where your employer has made more than 50% of the contributions). If your superannuation is a grantor trust, you need to pay US tax on “everything” (that is, contributions, annual gains, and distribution). Also, there’s a good chance you have a dreaded Passive Foreign Investment Company (PFIC) in there. If your superannuation is an employee benefit trust, the annual gains are tax free, but contributions and distributions are taxed. Fortunately, the employee benefit trust classification will shield you from PFIC exposure. And don’t forget about reporting obligations. If you’ve got more than $50,000 in the superannuation, regardless of whether it’s a grantor trust or employee benefit trust, you’ll have to submit Form 8938 for it. If it’s a grantor trust, you’ll also have to worry about Forms 3520, 3520-A, 8621 (for PFICs), and FinCEN 114. These forms are not easy to fill out, let alone determine if they apply to your situation. Professional tax advice is recommended. By now you’ve probably realized that participating in an Australian superannuation is a headache. What can you do about it? I suggest two things. First, make sure you are compliant, and if not, make sure you bring yourself into compliance. 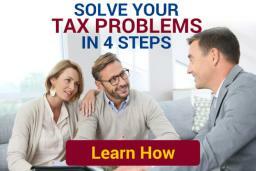 If you have not been paying taxes or reporting on your superannuation to the IRS, you have several ways to do just that, which I wrote about here. If your non-compliance is non-willful, or in other words, an honest mistake, you’ll want to come forward under the Streamlined Filing Procedures. With superannuations, non-compliance is almost always non-willful. After all, superannuations are the mainstay of the Australian retirement system. It seems like they should automatically match up with any rules you can think of. But they don’t – at least not under US tax law. Second, consider whether it’s worth participating in the superannuation in the future, especially if it is a grantor trust that’s triggering PFIC reporting and taxes on your annual gains in the US. You may be better off cashing out of the superannuation and saving for retirement by another means. Don’t take it personally. It’s not your fault US citizens and Australian superannuations don’t mix well. The problem comes from the top – from the rulemakers who wrote the Australia-US DTA. The problems are inconvenient, but now that you know them, you can plan around them.